Among the perks of traveling in a premium class on U.A.E.-based Emirates airline is access to a premium class lounge before one’s flight. These lounges can be a respite from the craziness of the concourse, a place to conduct some business, or a place to simply relax and unwind. Emirates has premium class lounges in several of the cities it serves but the largest and perhaps most luxurious are at its home airport of Dubai International Airport (DXB). 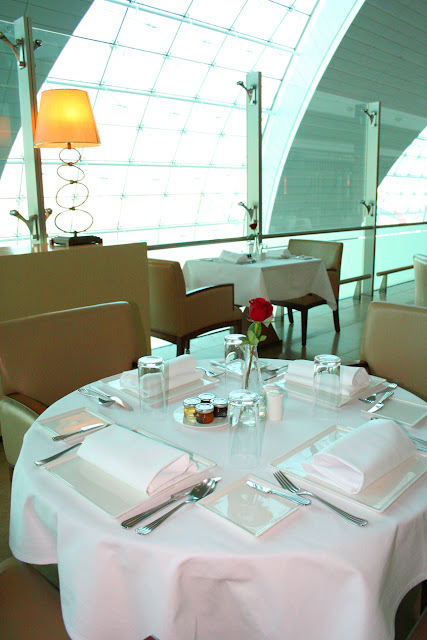 Emirates operates some 400 flights daily out of three different concourses at DXB, and each of the three has a First Class lounge as well as a Business Class lounge. The lounges at Concourse A are the newest and, arguably, the grandest. The lounges in Concourse A opened in January 2013, the same time the concourse itself opened. The concourse is dedicated exclusively to the Airbus A380, the largest passenger aircraft in operation today. As of this writing, Emirates operates the largest fleet of A380s by far with 75 of the planes – nearly half of the A380s ever delivered – under its banner. 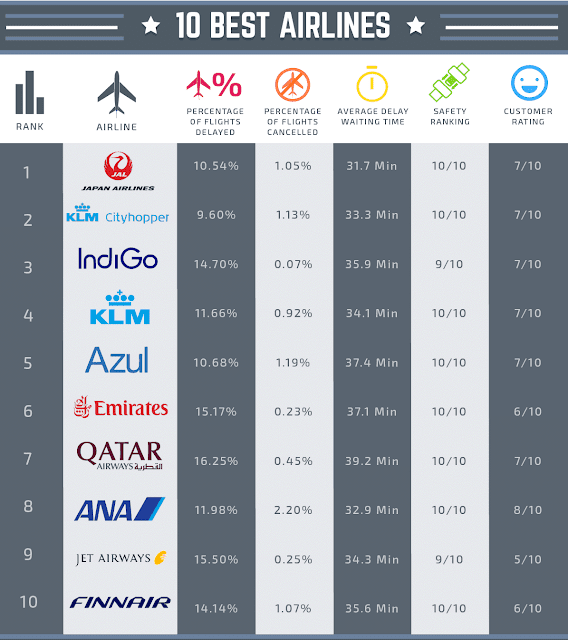 The next closest carriers are Singapore Airlines with 19, Lufthansa with 14, Qantas with 12 and British Airways with 11. Emirates’ first class Lounge on the fourth floor of Concourse A is divided into two wings that are essentially mirror images of each other and which, in total, cover more than 9,000 square meters of floor space. For comparison, the playing area of a regulation NFL football field is 5,333 square yards, or 4,459 square meters, so each of the two wings is roughly the size of a football field. The first class lounge can accommodate almost 1,500 passengers at any given time. Because of the number of flights the airline operates, the two wings provide departing passengers a more exclusive experience than a single wing would provide and enable them to be nearer their gates than would a single large lounge. The west wing of the lounge serves gates A1 through A12 while the east wing serves gates A13 through A24. Each wing has its own fine dining area where guests sit at tables with white tablecloths, linen napkins and flowers and order complimentary meals off a menu that rivals that of a four-star restaurant. Each wing also offers a restaurant with both continental and cooked-to-order breakfasts as well as lunches and dinners in a more casual setting, an eZone with electronic games, a children’s play room (a surprising number of first class passenger actually do bring their children along, I am told), a quiet lounge, showers and what my Emirates host told me was the most requested room: a cigar bar. One needn’t smoke cigars to use the facility but it is the only area of the terminal where smoking of any kind is allowed. And yes, it does have a humidor with cigars for those who indulge. Each wing also has a prayer room with ablution facilities for devout Muslims to wash and make themselves ceremonially clean prior to their prayer time. 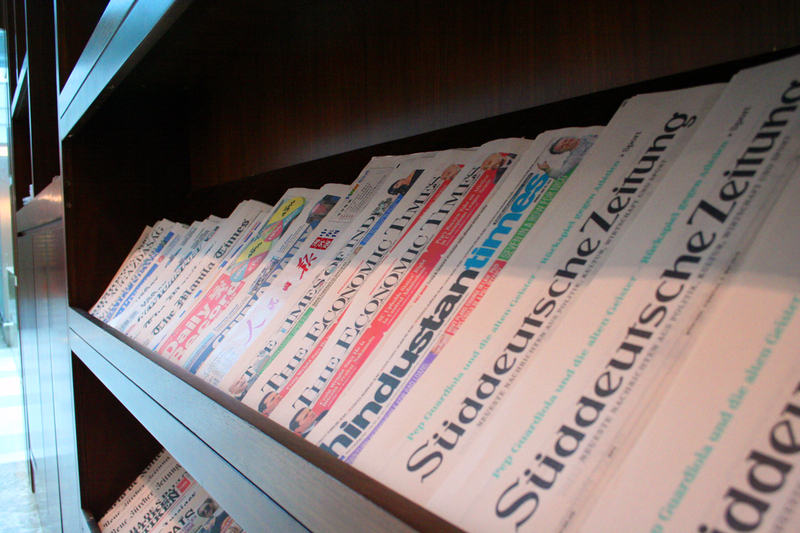 Finally, each wing has a selection of newspapers and other periodicals in a variety of languages that mirror those spoken by Emirates’ multi-national clientele. Passengers entering the first class lounges in Concourse A pass through a unique common area before moving on to the east or west wing: a selection of duty-free shops where passengers can select from alcohol and perfume, Tiffany jewelry, Rolex and Omega watches, products by Virgin Mobile and more. I am told it is one of only a few duty-free shopping areas located in a private facility. One floor above the first class lounge, on the fifth floor of the concourse, is the Business Class lounge. Slightly smaller than the first class lounge at 8,600 square meters, it can accommodate more than 2,500 passengers at a time. The facilities are very similar to those in the first class lounge, with the exception of the duty-free shops. Finishes are slightly less dramatic than those in the first class lounge but are still quite luxurious. As well, the range of facilities and amenities offered in the business class lounge are very similar to those offered in the first class lounge. The business class lounge also has formal and casual dining, quiet areas, a cigar bar, a prayer room and other spaces designated for specific purposes. Passengers in all of the lounges have direct access to their gates so they needn’t go back into the main terminal. 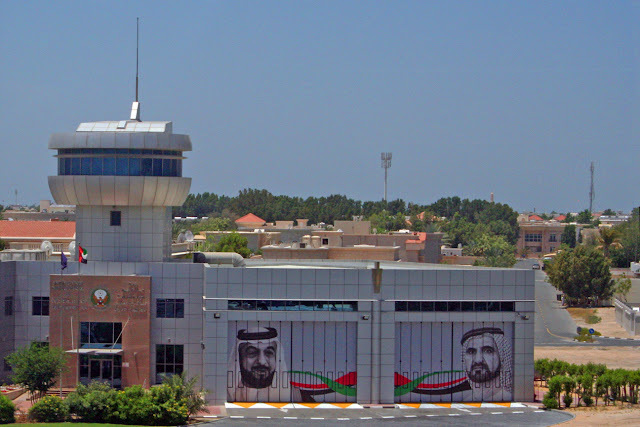 Instead, when it is time to board their flight, they proceed directly to an elevator that serves their gate and go directly to their waiting aircraft. 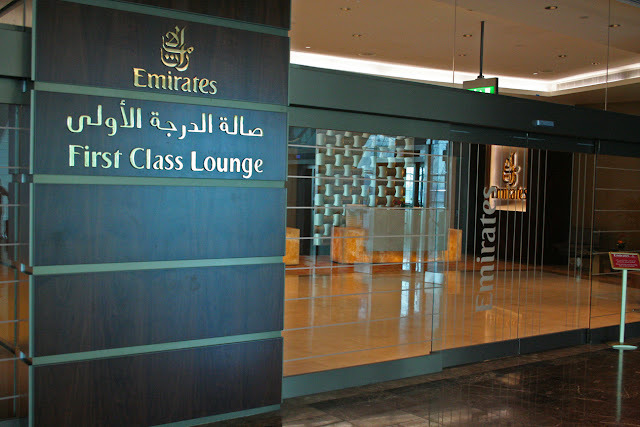 Emirates also has first and business class lounges in Concourse B and in Concourse C. Many of the lounges have features that are unique to them. While the first class club in Concourse A has the duty-free mini-mall, the business class club in Concourse B has a new area sponsored by Chandon champagne. Just opened, the area offers several different types of Chandon products along with specially prepared hors d'oeuvres. While I visited, I was offered a glass of 2006 vintage champagne, a cold avocado and lemon soup, chicken with mango relish and a pastry with bleu cheese, Emmental and Gruyere chesses. Absolutely delicious. At the time of my visit in early May, workers were putting the finishing touches on refreshing the lounges in Concourse B. Those updates are nearing the completion and should be finished by mid-summer, according to my airline host. Consistent with Emirates’ reputation, every staff member I encountered, from airline representatives to the people refilling the trays on the buffet line smiled, greeted me, and generally made me feel like a welcome guest – the essence of hospitality. Access to premium lounges is just one of the perks that Emirates provides its premium class passengers. 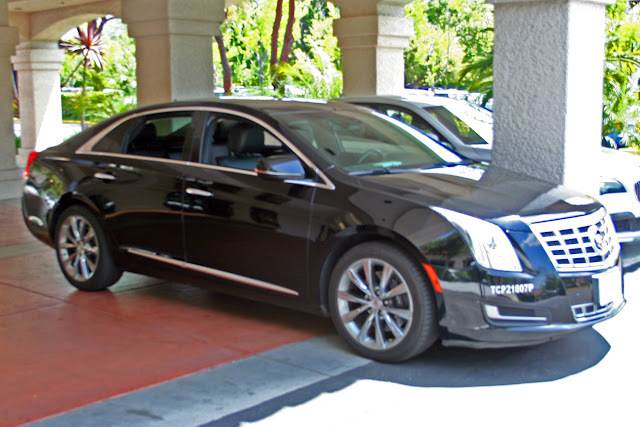 In addition to top-notch in-flight service that had consistently earned it accolades as one of the world’s top airlines, other extras include complimentary chauffeur drive service from point of departure to the departure airport, then again from arrival airport to the final destination.